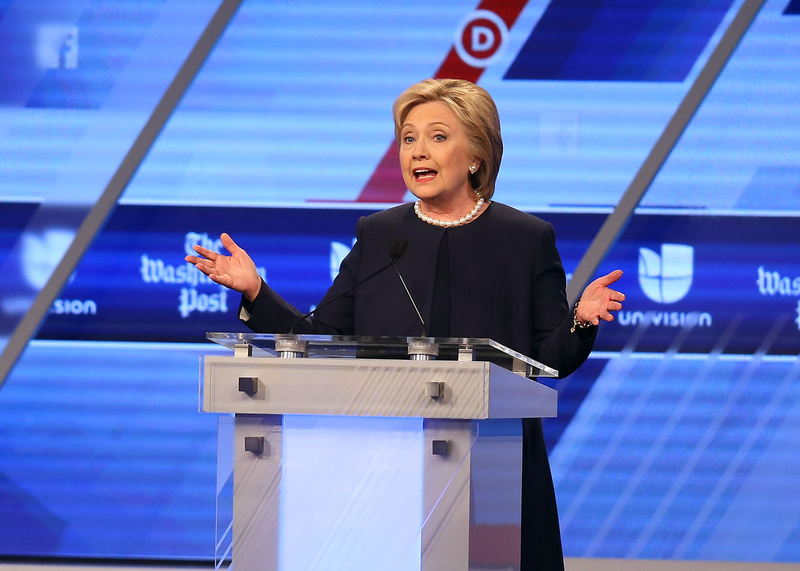 In a somewhat surprising moment, Hillary Clinton was asked about the Benghazi attacks during Univision’s Democratic debate. In a less surprising moment, the Democratic audience booed the moderators for even asking the question. While that booing was completely understandable, Univision moderator Jorge Ramos was also completely right to ask the question. This isn’t because the Benghazi attacks are a pressing issue in 2016. They are not. The “controversy” surrounding Clinton’s handling of the attacks is completely manufactured, as more than 10 investigations have cleared her of any wrongdoing in the aftermath of the assault. Benghazi is, and always has been, a political football created by Republicans in an attempt to hurt Democrats. Let's be perfectly clear about that. Most Democrats are acutely aware of this fact, so it's no surprise that Ramos was booed almost immediately when he asked the question. The jeers started as soon as the word "Benghazi" left his mouth, before he'd finished asking the question. Democrats are sick of hearing about this non-issue, and the fact that it would get voice at a debate — a Democratic debate, no less — is aggravating to many on the left, especially since Republicans have been banging this drum for almost four years straight with absolutely no evidence of scandal to show for it. Nevertheless, Clinton should be glad that this question was asked, and for one simple reason: The issue is probably going to come up again during the general election. It shouldn't come up again, but is that going to stop Donald Trump or Ted Cruz from making hay about it? No. The eventual Republican nominee and their surrogates will almost certainly bust out the Benghazi smears if Clinton gets the nomination, and she'll need to have a good answer for them. Sure, the truth should be enough — but in politics, the truth needs to be communicated effectively in order to have the intended impact. Asking Clinton about Benghazi at a Democratic debate, then, gives her a chance for her to practice her answers in front of a friendly audience in preparation for the general election. Primary debates serve many purposes. One of them is to test candidates' ability to answer tough questions in front of an audience, because this gives voters an insight into how they'll fare as the party's nominee. Like it or not, Benghazi will be brought up again during this campaign, and when Ramos asked Clinton about it during the Democratic debate, he wasn't siding with the Republicans. He was giving her another chance to rehearse her answer to Republicans, and that's to her benefit, not her detriment.